High Five is for everyone! I was only at High Five for a little over 24 hours but the time I was there was a whirlwind. Tuesday morning kicked off with the high-kicking Jackie Huba, who started by remembering how badly she wanted to make the “sequin squad” in high school. (Who can’t relate to that?) She continued by saying “fortune favors the bold” and presented drag queens who “werk” it in the most bold way. Jackie translated this idea for brands, saying they must stand out and show their personality. Aaron Draplin’s morning talk was also personal. He encouraged the audience to see beyond their 9-5, to fight to live life creatively and bring design into all areas of life. He shared examples of his work including his nephew’s birthday invitations and his father’s funeral program. I laughed. I cried. I left with a renewed sense of purpose. I was lucky to get a copy of his book, Draplin Design Co: Pretty Much Everything, and even luckier to get it signed and have a quick chat with him. Despite being the hottest name in the industry, he was humble and gracious. I was fascinated by Neen James’ presentation on intentionally paying attention. Are we paying attention to the right things? When we’re multi-tasking, what’s the ROA (return on attention?) A five-year-old taught her to listen with your eyes. We ended by connecting with another audience member and sharing our own goals for changing how we pay attention. I’m looking forward to reconnecting with mine to see how we’re doing in a few weeks. There were amazing insights at the industry leaders panel, Like Wine & Cheese, Marketing & Creatives are Better Together: How Industry Leaders Navigate Dynamic Team Collaboration. John Newall, partner and president at McKinney, asked creatives to put themselves in marketers’ shoes and make sure they understand how success is going to be measured. Robin Colangelo, Global Director of Creative Services at White & Case, emphasized being relevant and strategic at both the initial project kickoff and when providing feedback. She recalled a time a client told her they couldn’t use orange because their daughter hated orange. Surely they had more useful direction than that! John Lewellan, Director of CRM & Marketing Operations at LexisNexis, suggested getting everyone together, both marketing and creative, to map out the process from start to finish and look for inefficiencies, then revisit in three to six months to see how you’re doing. Something I heard throughout the conference was that in order to bridge the gap between marketing and creative, make sure everyone understands each piece of the process and is disciplined about sticking to it. Allan Maule of Atlantic BT led How to Democratize Your Content Marketing. He promised to include cat gifs and I was not disappointed. I may have learned the most from this presentation. He shared his writing process and how to help non-writers communicate more effectively. Allan believes that everyone at every organization has something to add. Everyone is an expert at something. Allan inspired my main takeaway: no matter your role, how big or how small, you can contribute and make a mark. Don’t just know your craft. Be obsessed with your craft. You’ll be prepared for things you never could have expected. Meredith Duncan received her BA in Media Studies, Film and Video Production from the University of North Carolina at Greensboro in 2012. Meredith has also studied at the Sorbonne is Paris, and has a background in Creative Operations, Client Services, and Digital Project Management. 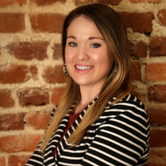 Currently, Meredith is a Senior Account Development Representative and Workflow Expert at inMotionNow.